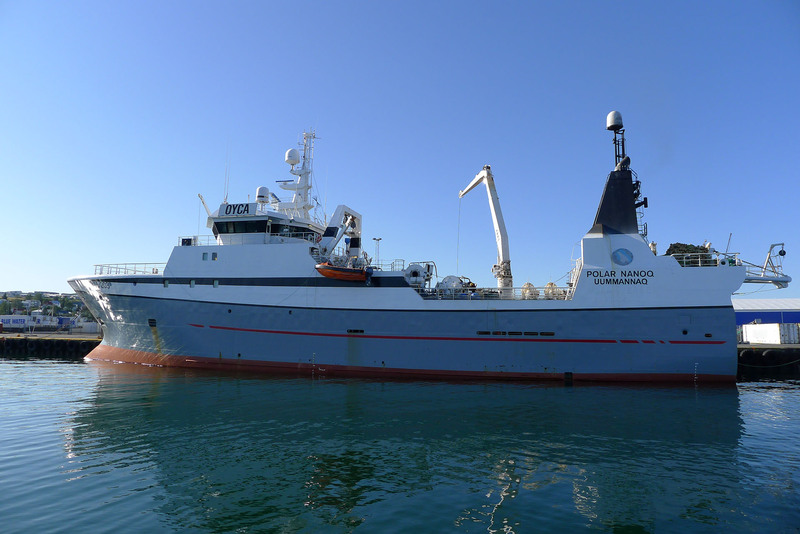 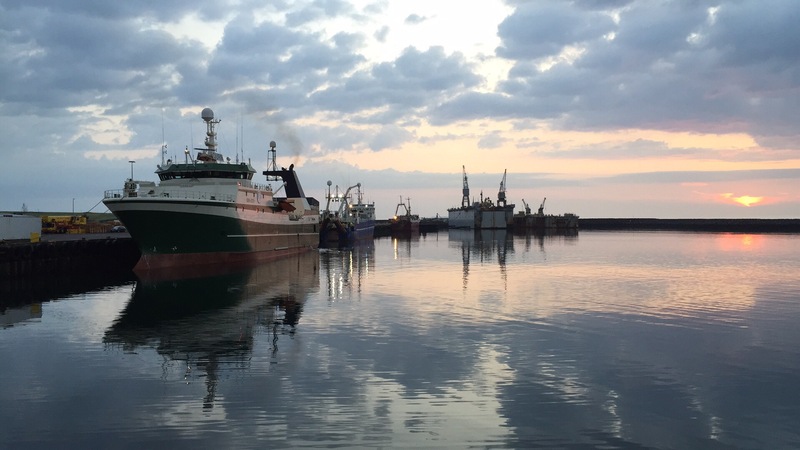 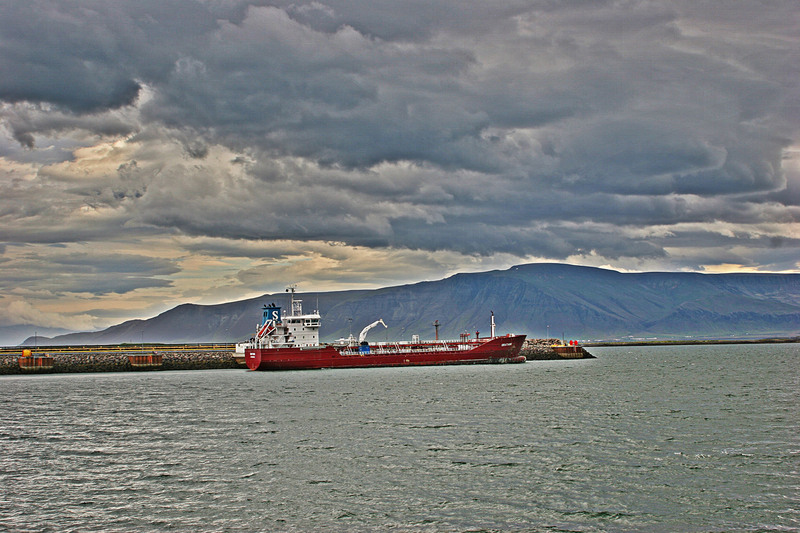 Shipbrokers Ltd. has been active in shipbroking, charter operations and vessel agency cervices since 1920. 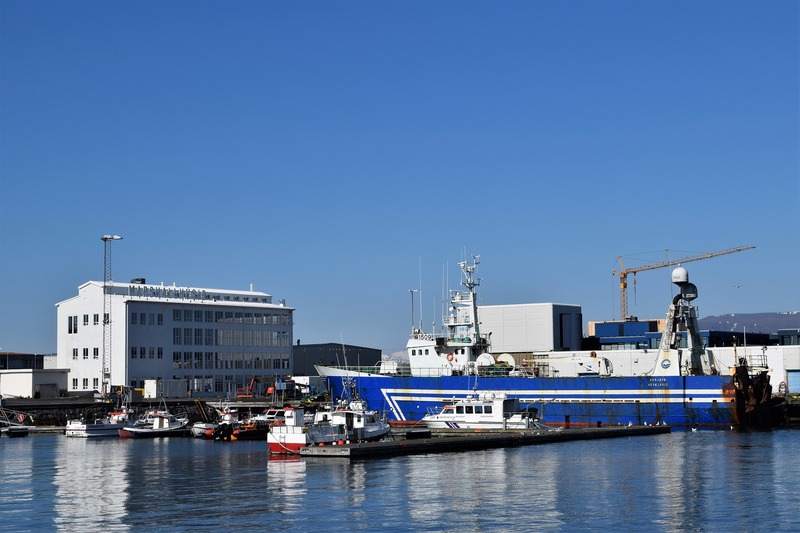 We offer comprehensive and dedicated service for the successful implementation of your long-term maritime business plans that needs a partner with a clear and realistic strategy. 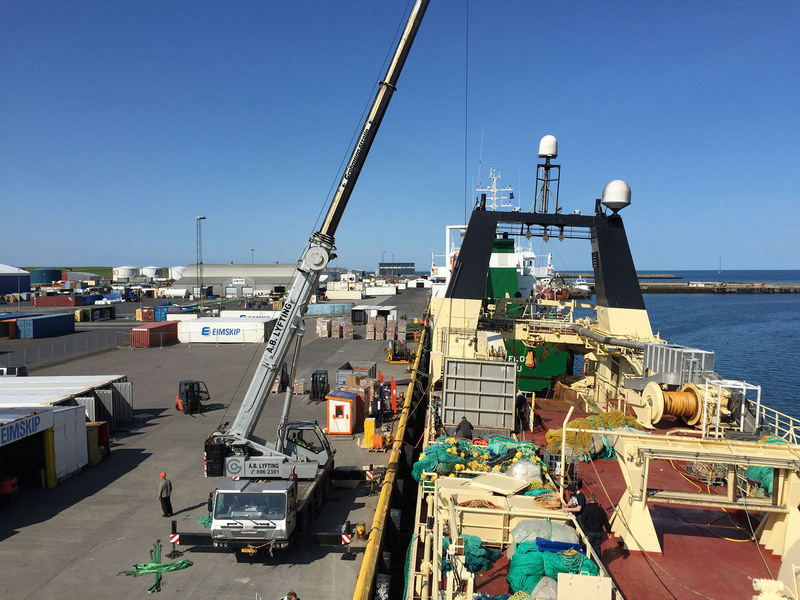 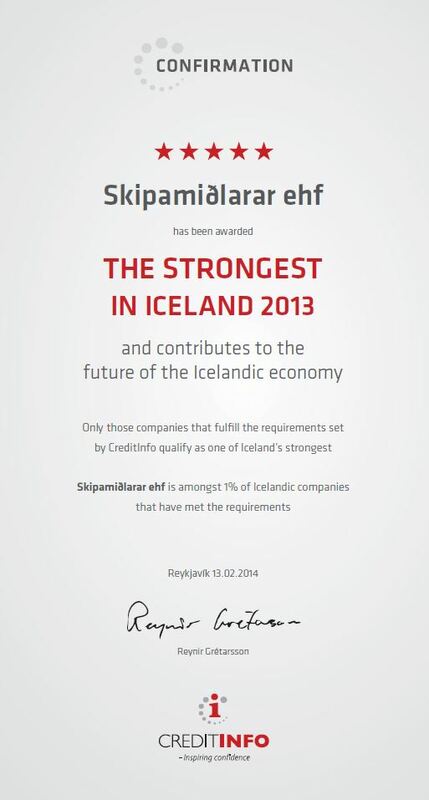 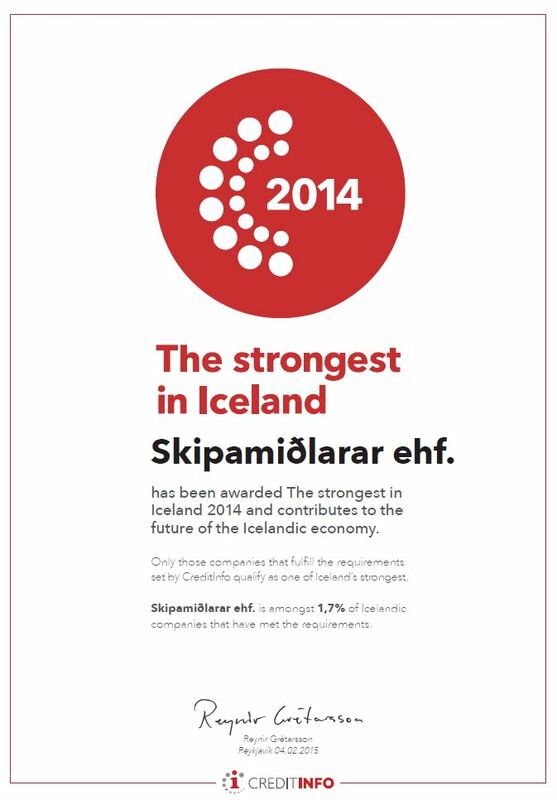 In 2013 and 2014 Shipbrokers Ltd. recieved The Strongest in Iceland award as a key contributor to the future of the Icelandic economy.